Isn’t orange such a fun color? It’s so bright and happy — doesn't it always make you feel cheery? 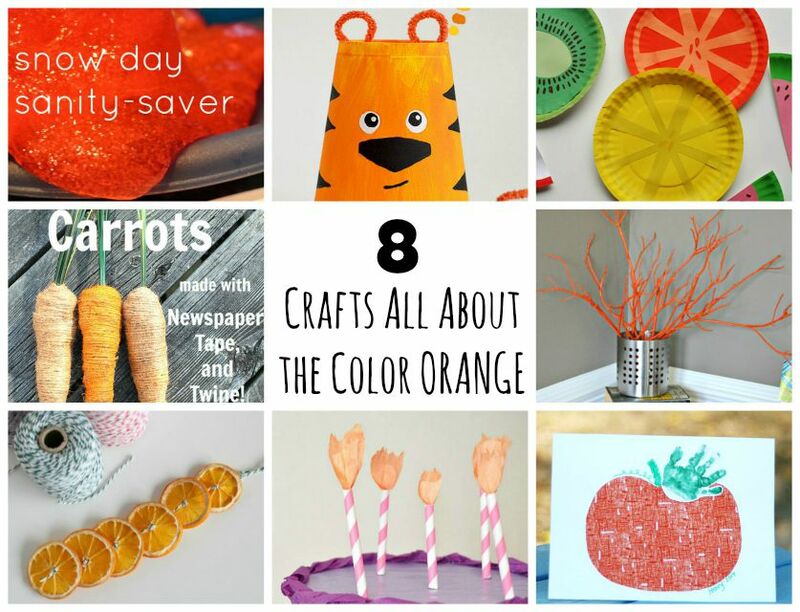 So let's get out all of our orange craft supplies and try these crafts with the kiddies. They are sure to love them. Try making this colorful orange sparkle slime! Your kids will love playing with this slime all day long. This is an easy foam cup orange tiger craft that your kids will love so much, they'll then want to make different animals for a whole safari. Make these bold paper plate oranges to celebrate the beginning of spring! This is an easy craft that takes no time at all to create. These adorable orange carrots are made with newspaper and tape. Not only are they fun to make, they're the perfect decor for your Easter dinner table. Craft these orange painted sticks for pretty spring home decor! They're whimsical and extraordinarily easy to create. These DIY orange ornaments are lovely. You could hang them on gift tags or a holiday tree for a colorful, festive touch. Make them for yourself or give them away. Make these DIY orange paper candles to put on a paper birthday cake. They never blow out and aren’t they fun? Remember your child’s little hand forever with this adorable keepsake. Stamp their hand to make the handle of this darling pumpkin, and then hang the page in your cutie's room or put it in their baby book.